Hotel Excellent is a stylish hotel with clean, elegant rooms, not far from the centre of the town. Subway station Kobylisy (line C) is just 5 minutes on foot from the hotel. Tram no. 14 & 10 (no.55 in the night) which stop is just in front of our house, will take you to the centre of Prague within 20 minutes. 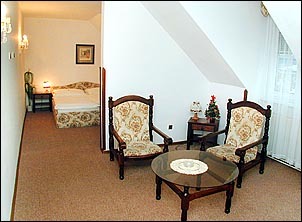 For your stay in Prague we offer accommodation in one of our seventeen excellent rooms: 6 double, 1 triple bed rooms, 3 suites and 7 apartments. 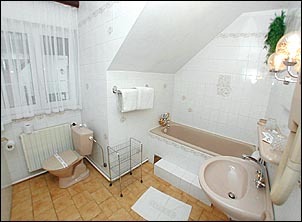 All rooms are equipped with private bathrooms with bathtubes or showers and hair dryers. 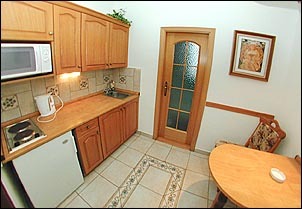 Other equipment include minibar, TV with satellite reception and direct-dial telephones. We offer also our seven apartments which are equipped with the same amenities and in addition they have also fully equipped kitchenettes. 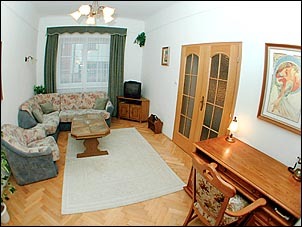 On the pictures you can see the largest apartment no.13 which has 2 double bedrooms, living room, kitchen and bathroom. 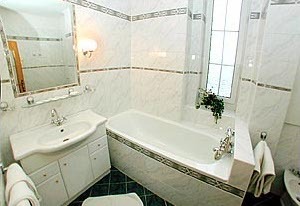 It is located in the adjoining building (connected through the hotel garden) as well as the apartment no.12 which has living room, kitchenette and bathroom. 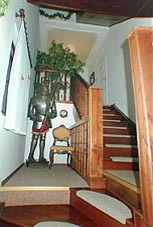 Apartment no.11 is located in the main building and has kitchen and bedroom. 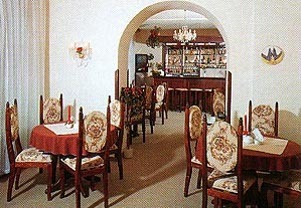 Buffet breakfast is served in our breakfast room with bar on ground floor. 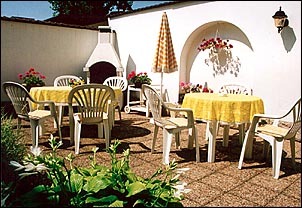 In summer you can use the hotel garden and terrace. 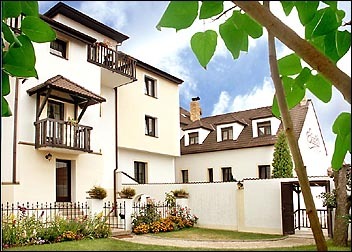 Secure parking in our courtyard cost 100 CZK per day. 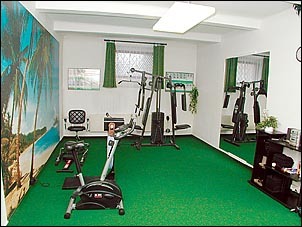 Fitness room is located in the basement of our hotel. 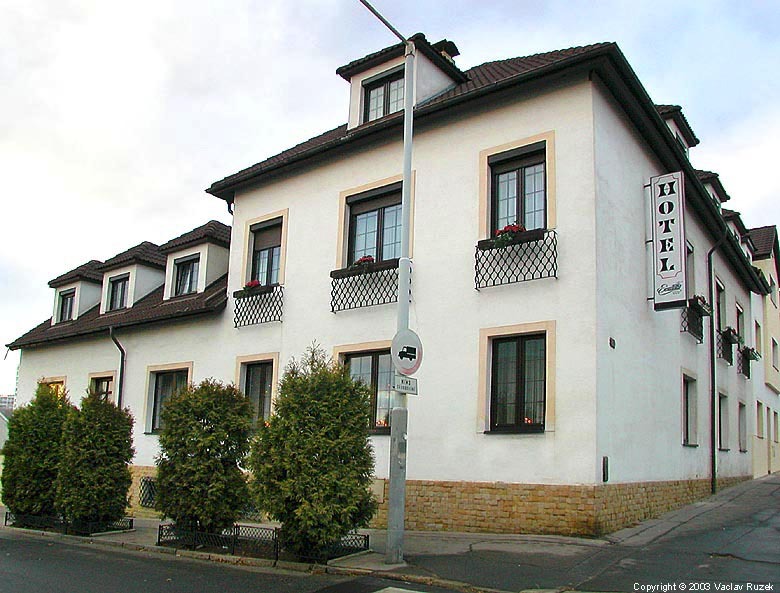 Nearby (30 metres from the hotel) are located tennis courts. Fax and e-mail service (free of charge) available in the reception. 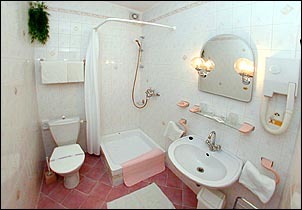 We would be very pleased to welcome you as a guest at the Hotel Excellent. 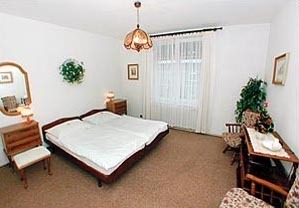 For stays of more than 7 nights we offer 1 night free.